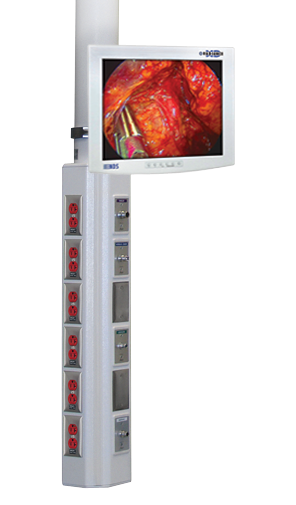 Hybrid Operating Room Surgical Displays & Monitors. 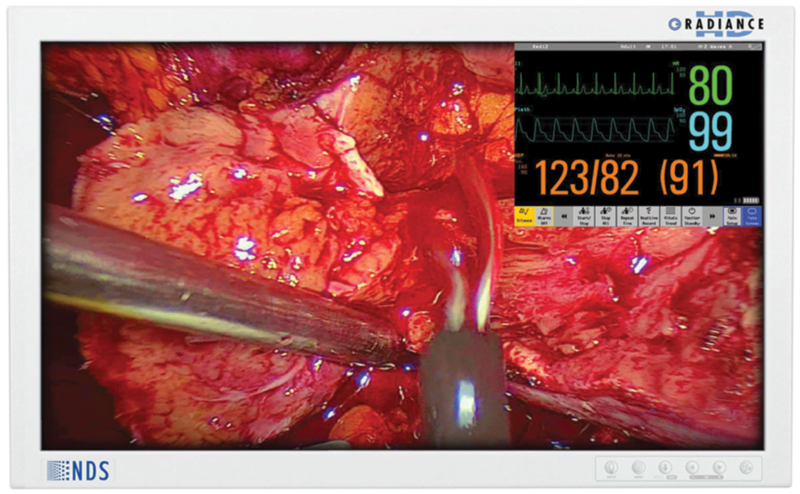 Video Integration & Routing for Surgical Displays. LCD & LED Back Lit Monitors. Large Screen Displays from Philips, Siemens, GE, Toshiba. SKYTRON, Stryker, Maquet, Trumf, Steris. Black Diamond, ImageStream, Barco, NDS, Karl Storz, Sony. Surgical monitors and displays are integral to a Hybrid Operating Room environment. These monitors display important information such as patient vital signs, surgical images, and xray images. 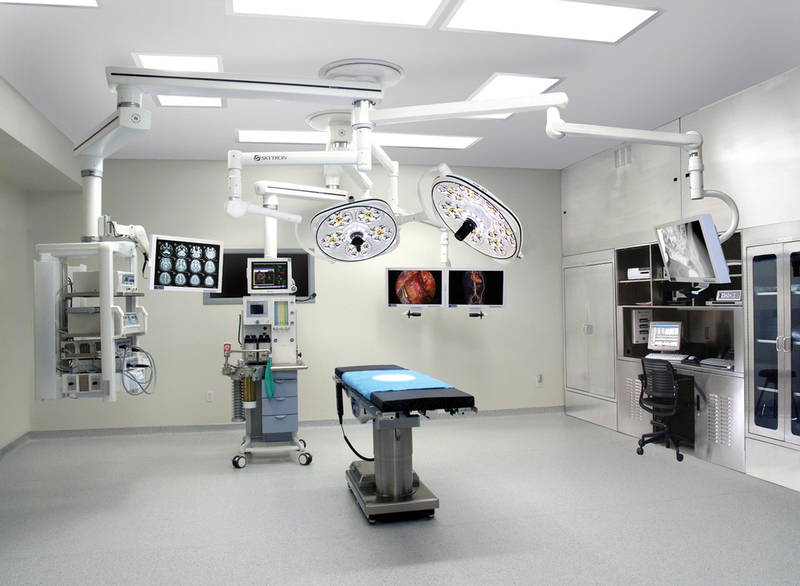 The placement of these surgical displays around the Hybrid Surgical Suite can take place via ceiling mounted arms, onto equipment management booms, or even wall mounted. 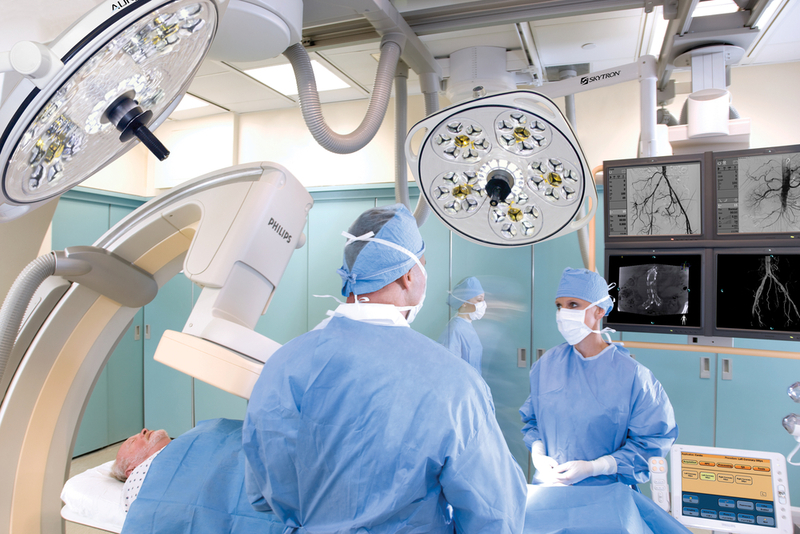 When it comes to HD displays that are used in the Operating Room, some key distinctions exist that make shopping for an HD surgical monitor vastly different from buying an HDTV for the home. Compared to the typical shopping experience for an HDTV for the home setting where there may be a choice of 50 or 60 different models hanging in the retail showroom, stringent FDA regulations greatly narrow the available options that can be placed in a surgical suite. While an HDTV for your home may look similar to a high-definition surgical display (also referred to as a monitor) designed for the Operating Room, these products are actually quite different from each other, as is their procurement method. Whether you’re shopping for an HD surgical display or an HDTV for the home you’ll want to compare brand features, specifications, size, and price. 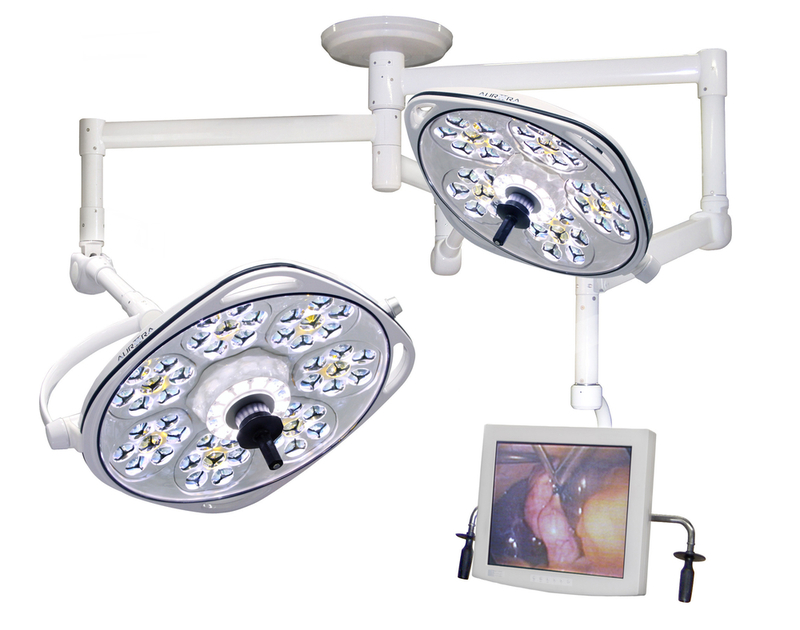 However, the process of selecting a surgical display for the OR is quite different than an HDTV for the living room. Details on each of these considerations are included below for your reference and education. Please feel free to contact us at J.M. Keckler Medical Co. if you have any questions whatsoever. Confirming that the display meets medical industry standards is essential, when it comes to sanitization and industry equipment standards. Since patient safety and hospital liability are at stake, it is important that the highest quality product is selected. The manufacturer should be an ISO certified, FDA registered company with a quality system fully compliant with rigorous certifications demanded by region-specific regulatory organizations including the FDA. Surgical-grade monitors are designed for the OR environment, and are built to last. For example, there are no vents, fans, or molded plastic design elements that could temporarily trap airborne particulates, which minimizes the risk of infection for surgical patients. These displays are also VESA compliant and can be either boom arm-mounted or wall-mounted. The monitors should be lightweight, have sturdy aluminum cases, and have an optical quality polycarbonate cover over the display area. The cable management system should also neatly route video, power and control cables behind a protective cover that is easy to clean. Screen sizes of up to 56 inches are not uncommon in today’s Hybrid OR environment. At the same time, a slim profile is key in the space-constrained OR. With some monitors weighing up to 150 pounds, it’s essential to verify that the flat panel arms on ceiling mounts will hold the monitor steady without drifting over time — while still allowing flexibility to maneuver into a variety of positions. Purchasing a display that is proven to be compatible with various medical imaging devices is critical, since many imaging devices do not follow video standards and often use proprietary video formats. Video input capabilities are of key importance since they are what determine what types of imaging devices can be connected to the display. 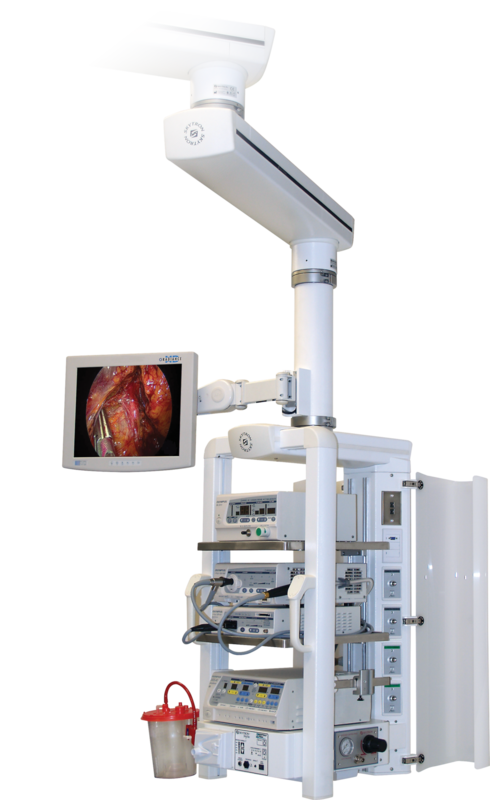 For example, in order to view the high resolution video output of most C-arm fluoroscopy machines, the display must have a special SOG (sync-on-green) single BNC input connection. 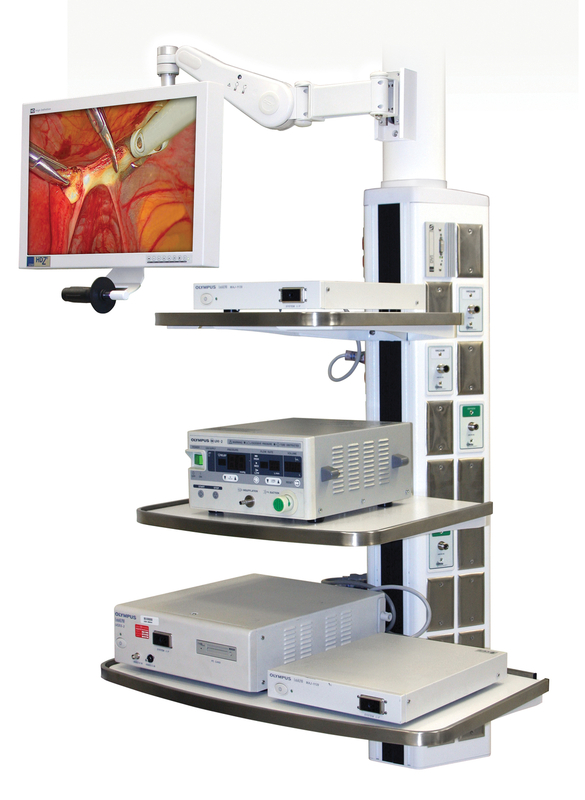 While choosing a high-quality HD surgical display is the first step to achieving optimal image quality, the way the monitor is integrated with the input source as well as the type of conduit, or wireless, system used will ultimately determine the clarity of what the surgeon sees on the screen. Input options include DVI inputs, 3G-SDI inputs, VGA inputs, SOG inputs, or optional single-fiber optic inputs. A video level setting allows the display to "expand" the dynamic range of signals such as SDI, to provide darker black levels and brighter white levels. To further ensure the integrity of HD signals is maintained from the source equipment all the way through the imaging chain to the display, several principals and guidelines need to be followed. The video signal should never be down-scaled to a lower-resolution as this will dramatically impact the image quality. Conversion of video signals from digital to analog formats should be avoided. If done properly, conversion of analog signals to a digital format such as DVI or SDI will not result in any loss of quality, provided the signal’s resolution is maintained. Integration systems that convert all input signals to one digital format have significant advantages both in terms of cabling simplicity, as well as preservation of image quality. Healthcare providers should assure that the surgical displays they select are compatible with all the equipment currently in use, and that their integration systems can accommodate future technology. Displays incorporate a variety of multiple display modes such as Mirror Image, Picture-in-Picture, and Side-by-Side for flexible multi-image viewing. Being able to see multiple images at once such as vital signs, the surgical procedure itself, and radiological images is also incredibly useful in a surgical environment as it helps to reduce clutter. To be able to view multiple images you’ll need to make sure there are multiple inputs on the professional grade display you select. There are even options when it comes to the dimensions of the images you are viewing. 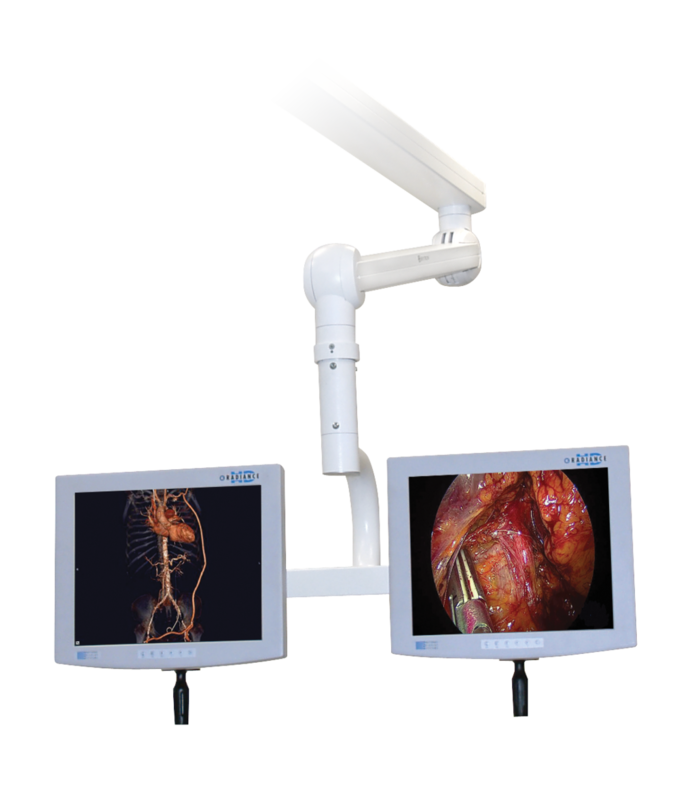 Today there are not only 2D medical grade monitors on the market but also 3D monitors that can alternatively provide excellent 2D image quality. How colors are displayed is another key distinction for a surgical monitor. The color performance and consistency from display to display is important since clinicians may use these devices as means of making diagnostic decisions based upon the color tone of tissues. High-quality surgical displays are carefully calibrated to produce a true representation of color. Many consumer displays are tuned toward the red spectrum in an effort to warm the fleshtones of on-camera talent and please consumer tastes; others are tuned for extreme contrast to make movie watching more dramatic. Obviously, this would be unacceptable for medical-grade usage. New LED backlight stabilization systems can now regulate the backlight to maintain a calibrated luminance output by slowly increasing the backlight drive level as the display ages. When choosing a wide-screen display consider full capability 1920 x 1080 resolution which is quickly becoming the standard for most endoscopic camera systems. 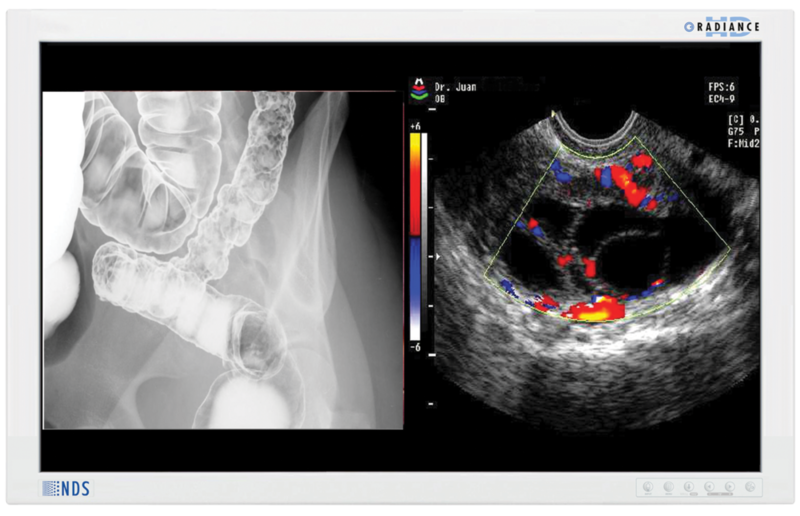 You will also want to choose a monitor that more closely matches the aspect ratio of the images that are captured by the endoscopic camera system. For example, some systems require either a 4:3, 5:4, 16:9, or 16:10 monitor aspect ratio to perform at their optimum level. Purchasing a display that can quickly and easily be disinfected is important to ensure quick OR turn-around times. OR cost is rated in dollars per minute – at home you have all day to clean your display. Medical grade monitors generally are more ruggedized, comply with medical safety regulations, meet higher electrical standards, and are designed to be wiped clean for sanitary conditions.